Eastern New Mexico has a complex. It is misunderstood and stereotyped by people who live along the Rio Grande corridor of central New Mexico. Politically diverse, the 2012 Presidential election provided a significant wakeup call for Republicans. Their votes, for Republican Mitt Romney, in the seven counties that border Texas were off-set in Santa Fe County, by Democrats who were voting for President Barak Obama. Tourism in Eastern New Mexico is defined by Carlsbad Caverns and the UFO phenomenon. But it is accented by the Norman & Vi Petty Rock ‘N’ Roll Museum and roadside attractions like the windmill farm in Portales. Economically, the region relies upon agriculture, fossil fuels and renewable energy for jobs. As a result, the region sees significant domestic and foreign immigrant traffic. The area also has a strong federal and state government presence. When we look at the 2012 Garrity Perception Survey, we learn a little bit about who residents trust, which industries are viewed as favorable as well as how Eastern New Mexico residents access news and information. Residents living on the Eastern plains have a very favorable impression of the farm and ranch industry, organized religion and the oil and gas industry. They favor local banks over national banks by a 2:1 margin, and have the same level of favorability in K-12, higher education and the solar/wind industry. Blood is thicker than water as Eastern New Mexico residents trust family members twice as much as doctors, teachers or police officers. While Eastern residents access news and information in similar ways to those around New Mexico, they have a very low level of trust in journalists. When it comes to New Mexico’s signature events, residents in Eastern New Mexico like the Balloon Fiesta at a rate that is three times higher than the annual UFO Festival that takes place in their own back yard. The Gallup Corporation recently issued results of a national survey gauging the level of trust people have toward mass media. In the 2012 survey, Democrats are much more trustworthy of mass media (58 percent) than those identifying themselves as Independent (31 percent) and Republican (26 percent). If 2011 is an indicator, New Mexico residents have a higher trust in mass media than the typical American. Research and Polling asked a similar question as a part of the 2011 Garrity Perception Survey (GPS) commissioned by The Garrity Group. The 2011 GPS and 2011 Gallup surveys had a similar (not identical) process, asking respondents to rate their trust worthiness of media sources on a scale of 1-5. Participants in the 2011 Gallup’s survey had more trust in mass media if they were a Democrat (56 percent) than either Republicans or Independents (both rating their trust at 38 percent). Local Newspapers: 53 percent of Democrats trust newspaper, compared to 49 percent of Republicans and 42 percent of all Independents. Local Television News: 65 percent of all democrats trust what they see on the local newscasts compared to 59% of republicans and 55% of Independents. National Broadcast News: 68 percent of Democrats trust the national news sources compared to 54 percent of Republicans and 40% of those who are Independent voters. Radio News Coverage: 46 percent of Democrats trust what they hear, compared to 44 percent of Republicans and 42 percent of Independent voters. When New Mexico residents were asked to gauge the trustworthiness of their “conversations with friends” Republicans had a higher level of trust (44 percent) than Democrats (37 percent) and Independent voters (31 percent). Advertising had only single digit level trust among all of those identifying a political party affiliation. So now New Mexico residents know why all they see on television are political ads and why your friends are shy to ask about your political opinions. Where can you walk around gnawing on a turkey leg while sampling a side of funnel cake and kettle corn? The New Mexico State Fair, of course. Resistance is futile. The last negotiating chip I have with my family is “as long as I don’t have to go in the midway”. The New Mexico State Fair starts its 12 day run this week. The event has been besieged in a funding tug of war as legislators debate scrapping or funding the State-owned Albuquerque property. The ghost of past State Fairs linger. Specifcally, a hop scotch pattern of scheduling has been the biggest point of confusion, which is reinforced on its website “This year, the Fair is condensed from 13 open days over a 17-day run to 12 open days.” The emphasis was theirs. Based on the Garrity Perception Survey, mobile users are a great base of support for the New Mexico State Fair. Just yesterday, Facebook CEO Mark Zuckerberg reinforced his commitment to own the mobile space. While the State Fair doesn’t have a mainstream “mobile app” there is a lot of opportunity for communicators to leverage their Facebook presence. What else can the State Fair do in the social and mobile space? Establish or piggyback on a #StateFair hashtag, have an Instagram “photo challenge” and provide updates about events via twitter. A Butterfly, an Ostrich and Transparency? The High Desert Investment Corporation (HDIC) and its parent the Albuquerque Academy (New Mexico’s academic leader for independent and public education), have a financial problem that has spiraled into a crisis which threatens its reputation as a trusted institution. The Albuquerque Journal has an excellent overview of the situation in today’s publication by Rosalie Rayburn and Richard Metcalf. The Readers Digest version: The Albuquerque Academy’s HDIC is pulling out of its most recent residential development, Mariposa (which means Butterfly). Homeowners in the high-end community are now faced with the potential of staggering increases to their property taxes. Aside from making a board member available to media, the Albuquerque Academy is in a communication “ostrich mode”; not communicating with Mariposa residents, parents of students and the community at large. Opportunities to communicate the issue through social media are non-existent. Mariposa’s website, facebook and twitter feed (run by HDIC marketing) are silent on nearly everything, including the issues facing its community. The factors driving the HDIC decision are complex; annual bond payments of $1.2 million are the root cause. Those complexities should be the motivators for the Albuquerque Academy communication efforts. Getting consistent information from the Albuquerque Academy is difficult. Their website is silent on the Mariposa issue as well as the current status of its endowment. Reported to be $298 million in 2008 by the Albuquerque Journal, the New York Times reported its value at $180 million a year later. Transparency and consistency of message are two approaches that the Albuquerque Academy can use to start addressing this communication abyss manifested by the Mariposa pull out. Whether it will be enough to salvage the brand of a New Mexico education icon; that depends how its leadership addresses short-term communication efforts. Disclosure: My firm, The Garrity Group, provided public relation assistance to HDIC on Mariposa issues unrelated to the current situation. The work was completed two years ago. In “PR” terms Bernalillo County Commissioner Michael Wiener is Radioactive. Wiener was photographed in a Southeast Asia red light district with a group of local women and in another image with someone he says is his fiancé. For more on the story, here is the link from KOB-TV. In the midst of re-election, republican and democratic leaders are calling for his resignation. Politically, can Michael Wiener survive? While he clearly has the election of his life ahead of him, his final “elected” fate will be determined by the 20% voter turnout, not the 100% negative media attention he has attracted during this mess. What can Michael Wiener do to attempt “political” survival? Offer “till you drop” one-on-one interviews to all new and traditional media to talk about the trip and anything else that might come up. Have his fiancé available to collaborate his story. Show compassion to the victims (this list is long and includes women, children, victims of human trafficking and supporters). No access to television, radio, newspaper or internet. Already sent in their mail-in ballot. Been visiting Denmark’s red light district and unaware of what’s been happening on the other side of the globe. Baring any of that happening, Commissioner Wiener should think about community service instead of public service. In a strange twist of “man bites dog”, the Albuquerque Police Department needs assistance from its own victim advocacy unit. In the midst of civil rights accusations, court cases, high speed pursuits and so called “bounty pay” for officer-involved shootings, the Albuquerque Police Department has been in the spotlight for all the wrong reasons. This blog post isn’t designed to provide fuel to either side of this heated political debate, it is only meant to provide APD some insight on how it can truly reshape public perception so their good deeds and all the “good cops” get noticed for the right reasons. The negative headlines impact public opinion. In the 2012 Garrity Perception Survey, the community’s “trust” in police officers dropped from 55% in 2011 to 45% in 2012. Specifically, in the Albuquerque area, only 42% of residents trust police officers. That’s bad. The scientific survey, conducted by Research and Polling in February 2012, for The Garrity Group Public Relations, has a 95% accuracy rate. Does APD need to change its image? If it wants to fend off political attacks, win trust and engage their community, then yes. But whose mind do they want to change? Or is it better to engage their supporters to be more vocal advocates? Identifying the target audience is sometimes the most difficult step, but most important.. Those surveyed between 35-49 years of age and earning 60-79K annually had the biggest trust issue with APD. A typical APD supporter has lived in New Mexico less than eight years and is 50 years of age and older. Once APD has decided if it wants to convert its critics or encourage its supporters, messaging needs to be developed. 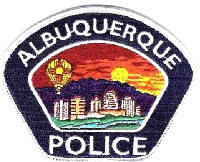 APD should work to develop a genuine story, which showcases its team, their accomplishments and features how Albuquerque is a better place as a result of the work they do. APD can ignite interest and build credibility with research (i.e. lower crime rates, crime reduction programs, safer roads); once outlined, a plan should be developed to connect with target audiences, sparking thought-provoking conversations. This is best accomplished through a series of focus groups or surveys. Change doesn’t take place overnight, and progress and outreach can be destroyed with one negative event (police shooting, scandal) or can be rallied with one positive event (lifesaving rescue). But taking steps toward change will help to win friends and encourage supporters. Reluctantly, a second comes and discussion moves forward… the rest takes its own unique course. I am not sure if that is what happened with the Susan G. Komen Foundation, but somewhere a policy was presented. It was approved by the foundation board and in that moment, funding would be restricted or denied for organizations under federal investigation. Properly define what constitutes an investigation and, on face value, that kind of approach makes sense. But, in politically charged environments where accusations are made and investigations launched as common place, additional filters need to be in place to try and separate the rhetoric from reality. Planned Parenthood was the subject of an investigation, launched in a political arena, and didn’t pass the litmus test established by the Komen Foundation. As a result the pink ribbon was engulfed in its own political firestorm. Its critics branded this as an issue over mammograms and abortion. In reality, The Susan G. Komen Foundation is in a public quagmire over policy. In the midst of intense media and public scrutiny, the local chapters initially felt the pressure. Then, a chapter in Colorado was granted an “exemption” from the policy. Within 24 hours the national organization cried uncle and rescinded the policy. In its wake, the organization left its supporters questioning the national leadership and looking for new avenues of charitable giving. The greatest harm to the Komen Foundation is not in the policy controversy. 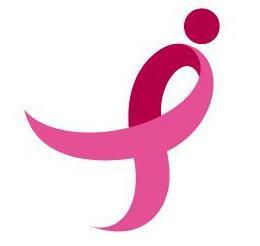 It is in the fact that policy is the focus of media attention instead of the compassion for victims of breast cancer. Can the “cure” recover? Only time will tell. The organization’s focus for the next six months needs to be on the basics. Focus on showing compassion to the victims. Continue to put different faces on this issue and sharing the human element. Use success stories to show how the organization is meeting and exceeding the needs of those who are, or are potentially, impacted by cancer. Good policy fosters good public relations. And for nonprofit organizations, compassion is always good policy even when the board and its leadership get in the way. Almost a year ago I had the fortune to stay overnight in Portales, New Mexico. The nicest hotel option I was aware of was a Holiday Inn Express. I reviewed their website and made a reservation. What I quickly learned, through the school of loud knocks, was this hotel was located adjacent to an active railroad line. Something that wasn’t even hinted at on their website or at check-in. While I did blog about this last December, I also wrote a review on TripAdvisor.com (which is the reason for revisiting this topic). 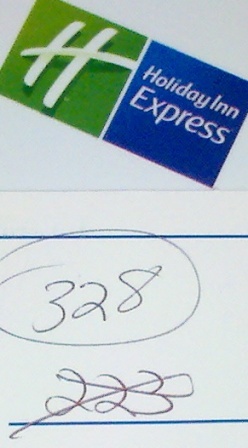 Since December 2010 a whopping 228 people have read the review. Since my railroad rock and roll event, there have been four other reviews posted. None were responses from the Holiday Inn Express. Maybe they don’t want to draw attention to it, since it is, really, the only option in town? Perhaps. Either way, there are 228 people who read the review and didn’t see a response from the hotel management acknowledging the problem, addressing plans to install more soundproofing or even offering free ear plugs to those on the railroad side of the hotel. Typically, silence is golden. In this case, I am not so sure. In the Tale of Two Cities Charles Dickens was clearly not referring to the University of New Mexico Football program. However, comparing the opening news conferences for two of its most recent head football coaches reveal two very different styles. When Coach Mike Locksley was introduced as UNM’s head coach in December of 2008 he said “This isn’t a rebuilding project. I look at it as a renovation. I’ll be putting my personal touches on the great foundation that’s already been laid.” But it was his comment about lighting up the scoreboard and adding a third digit to the scoreboard that haunted his 2-26 record. Coach Locksley told fans what they wanted to hear, he talked of the possibilities. Coach Davie is telling things like it is, talking about the realties of walking into one of the worst college football programs in the NCAA. Will Coach Davie have success? If he coaches like he handles opening news conferences, UNM will have a winning record before Davie’s contract expires.